Come enjoy the start of a new season with the 8th Annual Spring Into Statesboro festival on East Main Street Saturday, April 13th from 10 a.m. to 2 p.m. 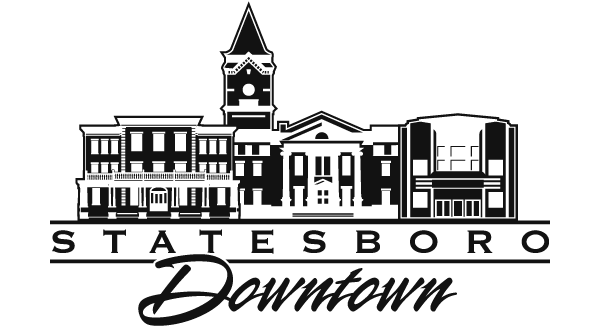 Downtown Statesboro will be packed with children’s activities, music, vendors, plants, food trucks and much more. This free community-wide festival is perfect for young and old to inspire and express creativity. Some booths that will cater to the kids specifically are planting and creating flowers, meet a princess or superhero, and face painting. In addition, Party Harbor will share a bouncy house for all the little ones to jump in. If that is not exciting enough, Southeastern Balloon Services will have a big inflated hot air balloon for everyone to watch soar. Pladd Dot’s “School of Rock” will be playing on the Courthouse steps. Listen and sing along to classic rock and popular songs. Statesboro High School drama will also perform. In addition, there will be demonstrations from Force One Karate, Dr. Li’s Tai Chi class, and Tormenta FC. The Soccer players will be meet the community, giving soccer tips and encouraging the youth. During the event, you will be able to swing by the Statesboro Mainstreet Farmers Market and buy fresh locally grown and produced food. The Farmers Market also has artisans including woodworks, jewelry, fine art painters and pottery. Support downtown businesses at the event by stopping into unique shops, restaurants or browsing the vendors that are set up on the street. Keep Statesboro-Bulloch Beautiful will be hosting the Great American Cleanup during the festival. Volunteers will be collecting litter around Statesboro to encourage the community to keep Statesboro clean. The Great American Cleanup events happen all over the country as a community improvement program inspiring over 20,000 communities. 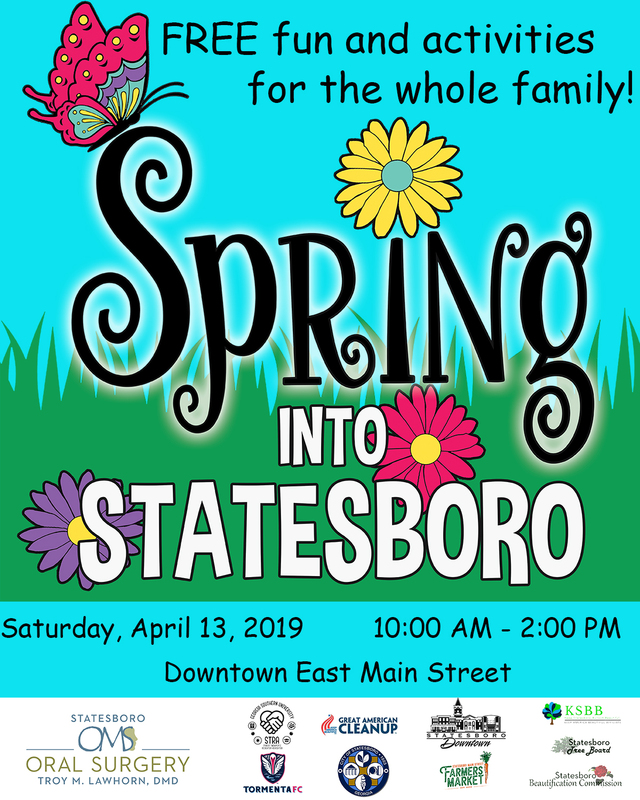 Bring your friends and family to Spring into Statesboro and enjoy a fun-filled day!